1. Pick a healthy pumpkin. Look for soft spots, bruises, mould & cuts. The greener the stem the better. A flat bottom will help when displaying your pumpkin. 2. Size is everything. Make sure the pumpkin will fit your design. 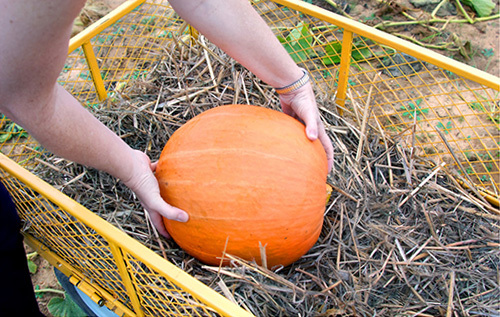 Larger bulbous pumpkins will provide more surface space. 3. Get the right tools. Plenty of retailers now sell pumpkin carving sets, making carving easier. You could also use a knife for the cutting and carving and a spoon for emptying the inside. 4. The messy part. 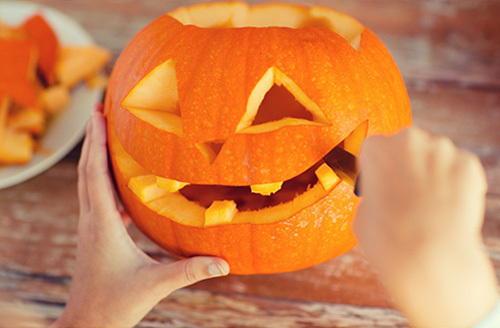 Cut off the crown of the pumpkin at a 45 degree angle, this ensures the lid doesn’t fall into the pumpkin. Completely remove the seeds and fibres, and some of the flesh. 5. Keep it clean. 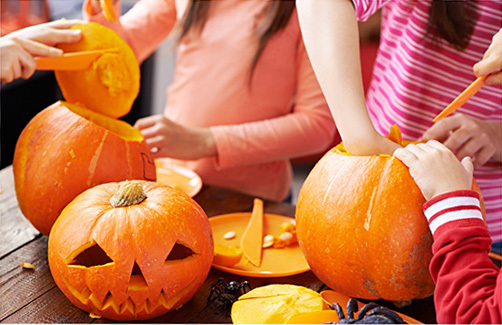 Clean and soak your pumpkin with water and bleach (1 tablespoon of bleach to 1 litre of water). Leave it to dry in a cool and ventilated area (not outside). This kills bacteria and prevents the pumpkin from growing mould too quickly. 6. The creative part Pick a design, it helps to have a stencil. Attach it to your pumpkin with tape and either draw around it or mark it with pins. 7. Let’s get carving. Using a small serrated knife to cut around your design. Make sure to cut away from you. 8. Keep it fresh. Use Vaseline around the carved edges as well as inside to help lock in the moisture. This helps your pumpkin last longer. You could also use WD-40, vegetable or olive oil. 9. 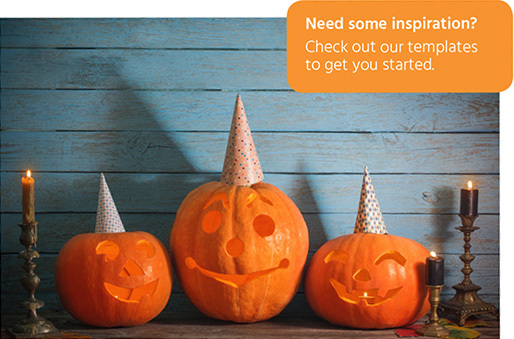 Pop a tea light inside your pumpkin.Light it and replace the crown. 10. Display your work of art. Not a fan of carving? Paint it! You can try free hand or use a stencil to reveal your design. Want something modern? How about covering your pumpkin in gold pins. Showcase the best of autumn. Use fallen leaves by sticking them to your pumpkin.